I have a book coming out in February 2019! In February 2019, probably just before Australia lurches into the long-awaited federal election campaign, I’ll have a book coming out on the Liberal Party’s ‘women problem’. 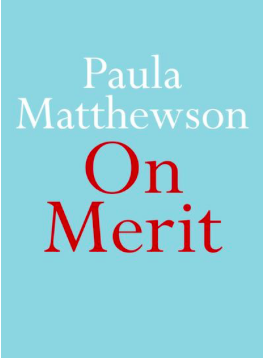 On Merit is part of MUP’s Little Book series. It starts with the emergence of the ‘red shoe brigade’ following the Liberals’ recent leadership troubles, and looks at the use and abuse of the merit myth to suppress Liberal women. The book also explains why those same women have resisted calling themselves feminists, but are now using some of the sisterhood’s tactics. I’m thrilled that MUP has taken a chance with a lesser known writer like me. So I’m hoping the book will do well. It’s currently available for pre-order, in either paperback ($14.99) or e-book ($9.99). If you’re a supporter of independent voices in Australian politics, please buy a copy! If you want more political analysis like this, subscribe to my Despatches newsletter by becoming one of my Patreon supporters. Despatches is produced daily for subscribers on parliamentary sitting days.